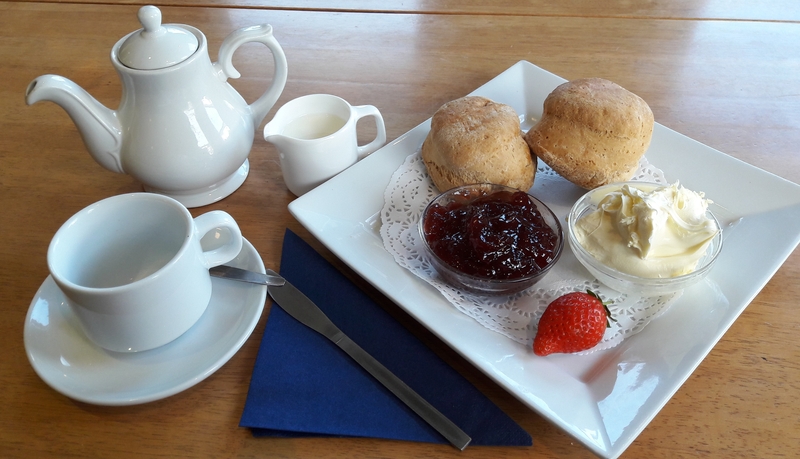 Two plain scones, local farmhouse clotted cream, strawberry jam, with a pot of tea for 1 person or cup of coffee. 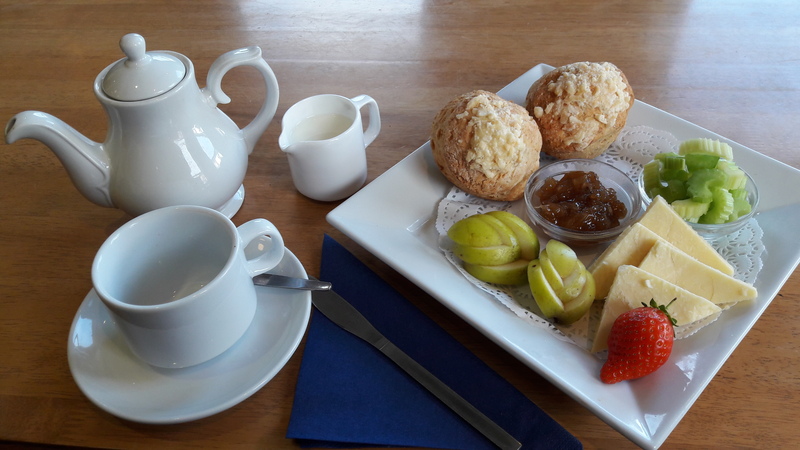 Two cheese scones, Mature cheddar cheese & apple chutney with a pot of tea for 1 person or cup of coffee. 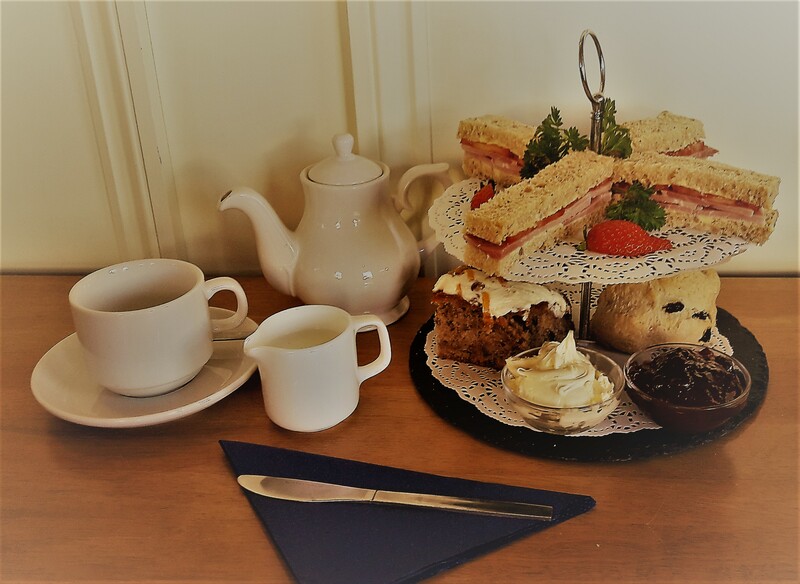 A sandwich of choice, a homemade cake, scone with jam & cream & a pot of tea or cup of coffee. Extra £1.00 for premium sandwich.